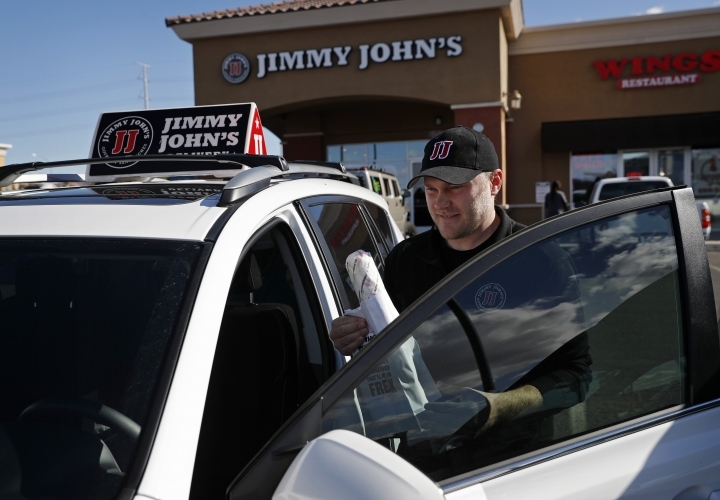 Jimmy John's average is less than 20 minutes, partly because it limits delivery to a small radius. 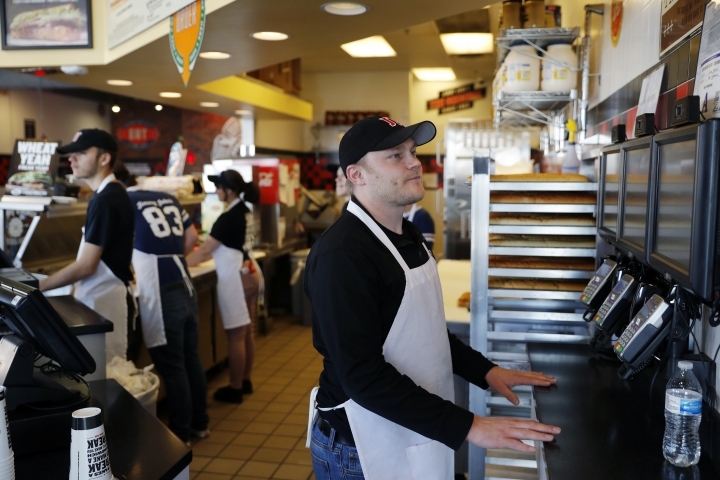 The company trains its drivers and gives them uniforms, North said. Pay varies by location. 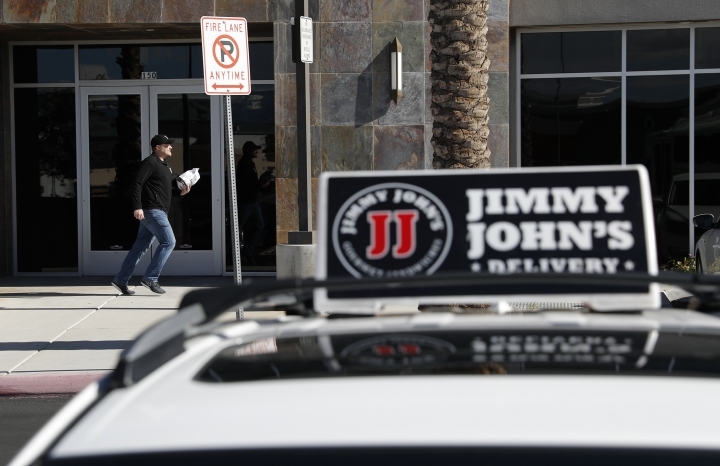 Jimmy John's charges customers around $2 for deliveries — some third parties charge $8 or more — and makes that work economically by doing more deliveries per hour.